South Australians are slugged the highest electricity prices in the country, which is why it’s hugely important to compare plans and make sure you’re getting the best deal possible. This means understanding electricity discounts and how they impact your overall costs. To help you find a cheaper plan, we have compared costs from some of the biggest electricity providers in SA and show what you can expect to pay with each of them. Before we compare prices, it’s important to make the point that, if you have not switched electricity providers in the last couple of years, then you are almost certainly paying more than you need to. This is because new customers can benefit from often generous electricity discounts which have short benefit periods of usually just 12 months. After this time, you will start paying the higher rate, meaning that to get the best deals, you need to be willing to switch every year or two, otherwise you’ll end up paying the ‘lazy tax’. Our price calculations are based on a specific postcode in Adelaide. To get a quote for your suburb, use our comparison tool here. Our database may not cover all deals available in your area, and please check retailer websites for up to date information. Which energy provider is cheapest in South Australia? To work out which are some of the cheapest electricity providers in South Australia, Canstar Blue has calculated the daily supply and usage charges of the following retailers that operate in the state. We have compared the cheapest offers from each provider. We show annual costs after applying all conditional discounts, based on a typical three-person household in Adelaide. Our database may not cover all deals available in your area, and please check retailer websites for up to date information. As you can see, based on this comparison, Origin Energy currently works out the cheapest in SA, with fellow energy giants EnergyAustralia and AGL a bit off the pace. Overall though, this specific comparison does paint a rather bleak picture of electricity costs across the board in SA. The above price calculations are based on a specific postcode in Adelaide, so be sure to compare plans in your suburb by using electricity comparison tool above. Energy discounts are a great way to drive down overall electricity costs, but there are some things to be aware of, as the table above illustrates. Discounts are typically off your usage charges, which make up the biggest expense on your bill, so that’s good. However, be aware that electricity plans with the biggest discounts do not always work out the cheapest. This is because these plans may also come with higher usage or supply charges, which means the savings are largely negated. Discounts are typically available for paying bills on time, or by direct debit. Some providers will also give you money off if you agree to receive bills via email instead of post. However, be aware that failing to meet the terms of your discount will not only mean you could lose the benefit, but you could also be charged a fee. Therefore customers who struggle to pay bills on time may find better value from electricity plans with the lowest base prices. The other thing to be aware of in regards to energy discounts is the benefit term. Being able to lock-in a good discount for a couple of years represents a good deal. But no matter how long the benefit period, make sure you pay attention to when it disappears because it may not return and you’ll be left paying more. In the case of Origin, for example, its discounts lasts for just 12 months. After that, you will find your costs increasing. In the case of Dodo, Lumo Energy and Red Energy, their discounts are ongoing. Also be conscious of sign-up incentives. It’s common for the energy companies to offer a rebate on your first bill when you sign up online, for example. Others have rewards programs whereby customers can get money off things like movie tickets. AGL offers flybuys points on the money you spend on bills, Simply Energy has a plan that brings ‘free’ movie tickets and Lumo Energy has a program that brings discounts at various retailers. While fairly attractive, it’s probably best not to let these incentives dictate your final decision, but they can be a good point of difference if you find two similar plans. In South Australia, most electricity providers structure their plans with tiered pricing. This means you will be charged for power at different rates depending on how much you have used throughout the day. For example, you will typically pay lower prices for the first ‘block’ of electricity you use, but then a slightly higher rate for each next block. Our cost comparison has taken these block rates into account. While some providers only have two tiers of electricity pricing, others have as many as five. In the case of Alinta Energy, its Fair Deal 28 contract has multiple pricing levels. While it is quite competitive in our price comparison, customers should think carefully about their energy usage habits and pay close attention to these pricing tiers. Tiered pricing is another important consideration when comparing prices, so get to know your household’s specific electricity requirements, because the cheapest plan for you may be different to the cheapest plan for another household with higher or lower energy requirements. 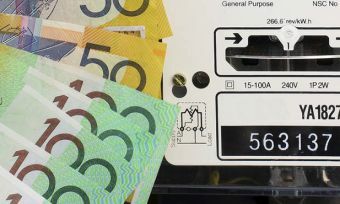 You can learn more about block rate pricing in our review of South Australia electricity tariffs. To find the best deal on your energy supply, you need to compare usage and supply charges from different electricity providers, and then work out how much you are likely to save with their respective discounts. Energy discounts are constantly changing and you never know when a better deal might come along. This emphasises the importance of regularly reviewing your electricity plan to make sure you’re getting the best possible deal you can. No one wants to switch electricity providers every year, but the reality is that it takes effort to get the best deals and that’s what you might need to do. In summary, here are some questions to consider and potentially ask when comparing electricity prices in South Australia. How much are the usage and supply charges? Consider that larger households should pay particular attention to usage charges, while smaller households may find their supply charges make up a higher percentage of their overall costs. But it’s a good idea to get to know both of these rates. Is there tiered pricing and how do rates differ? If you have a plan with tiered pricing, it’s a good idea to know how much extra your usage could cost you. It could encourage you to use less power and reduce your overall costs. What discount is available and what are the conditions? Make sure you sign up to a plan with a discount that you can fulfill every billing period. Discounts will help reduce your overall costs, but failing to meet the conditions will mean you pay much more and will also face a fee. What is the discount benefit period? How long will your discount actually last? Will you need to switch providers again after a year or two, or is the discount ongoing? Also check if the discount applies to your whole bill or just usage charges. Discounts off your whole bill do not necessarily mean cheaper costs, but it’s good to know exactly what you’re getting. Ultimately, you should try to get to know your energy plans. No one is going to come round your house and offer to take $200 off your annual bill. Be proactive, compare plans, and consider switching if you think you can find a better deal. 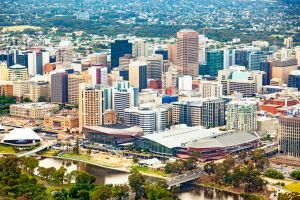 Which energy providers are rated highest in South Australia? It’s natural that consumers will be drawn towards the cheapest electricity prices in South Australia, but it’s also worth considering other factors, particularly customer service. That’s why Canstar Blue produces an annual review of electricity providers in the state, to see which are actually meeting expectations. In 2019, Lumo Energy is rated highest overall. South Australians are paying a high price for electricity, but you can help reduce costs by ensuring you are getting a good deal. Compare plans from other providers and make the most informed decision you can. We hope this price comparison proves helpful, because if there is one message to take away from this, it’s that shopping around is hugely important.